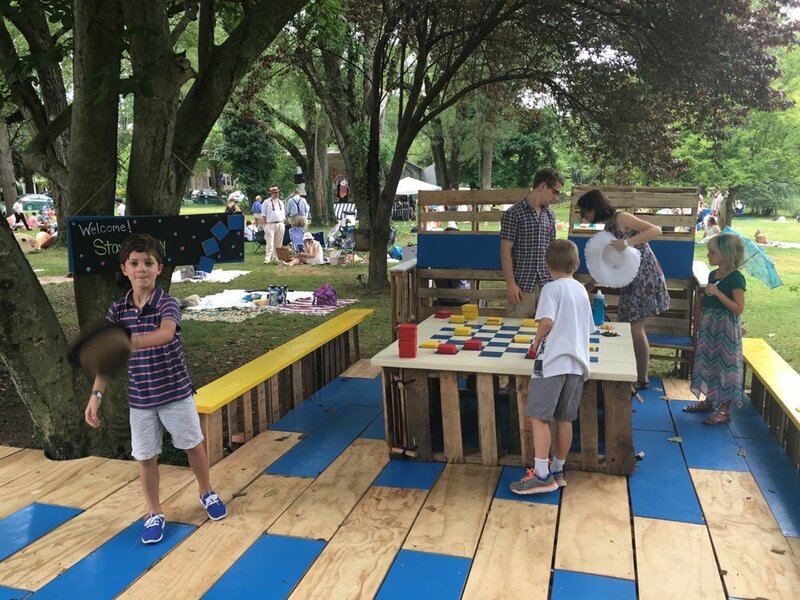 CaVA Architects is working with the Community Design Collaborative to help Glen Foerd on the Delaware raise money for the reinterpretation of their Garden Play House. The proposal and temporary “Pallet Patio” in this photo image was a highlight of Glen Foerd’s annual Jazz Age on the Delaware held on July 30, 2016. Proceeds raised will help go toward the building restoration and a new more permanent children's play patio.